Within Teamwork Projects, you can quickly add new tasks no matter which part of your site you are currently in, by using the quick add + button in the top right above the search bar. Once you have selected the +, you can click the Task option. 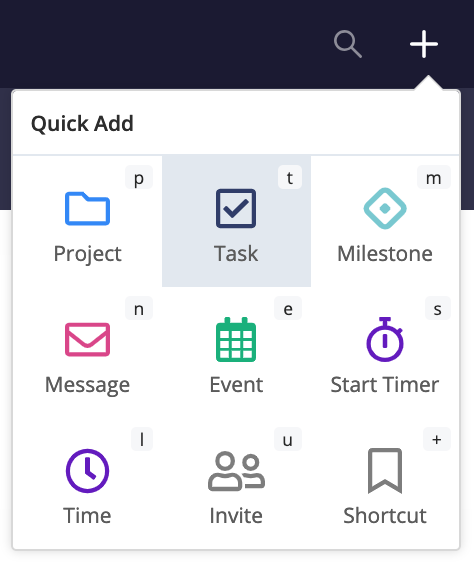 Alternatively, you can use our keyboard shortcuts by pressing q on your keyboard to bring up the menu then press t.
When you choose to add a task in this menu, you will need to pick which project and which task list you want to add it to first from the drop down within the modal. 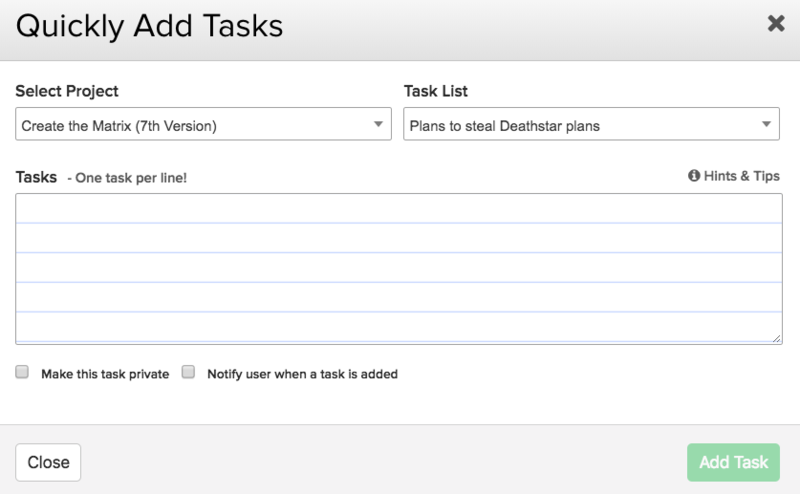 You can then add tasks to that task list directly in the quick add task window - all without leaving the screen you were viewing. [16/12/2019][22/12/2019] - Start on Dec 16th and will be due Dec 22nd. 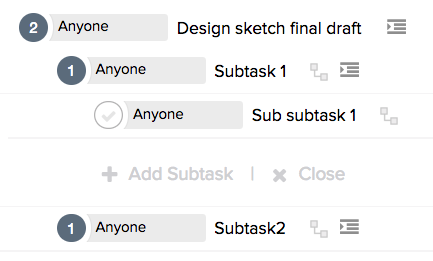 When using the quick add tasks modal, you can use short codes to specify different task lists for each task you are creating. 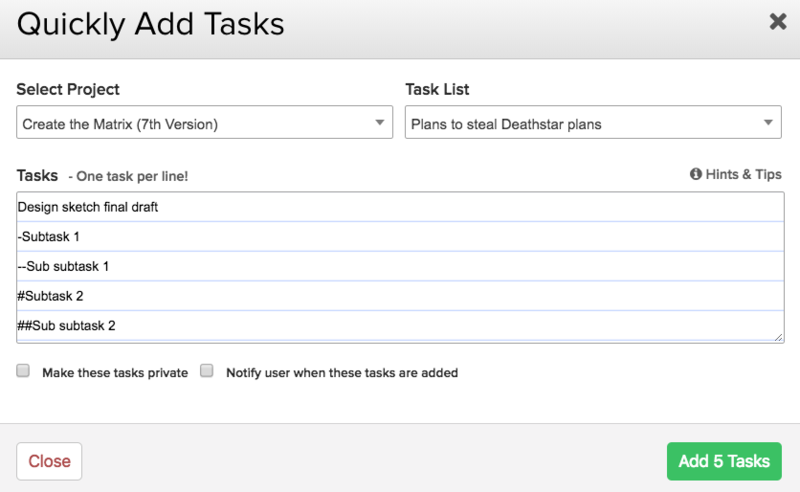 Any tasks you add that do not specify a task list will be added to the task list selected in the task list dropdown. 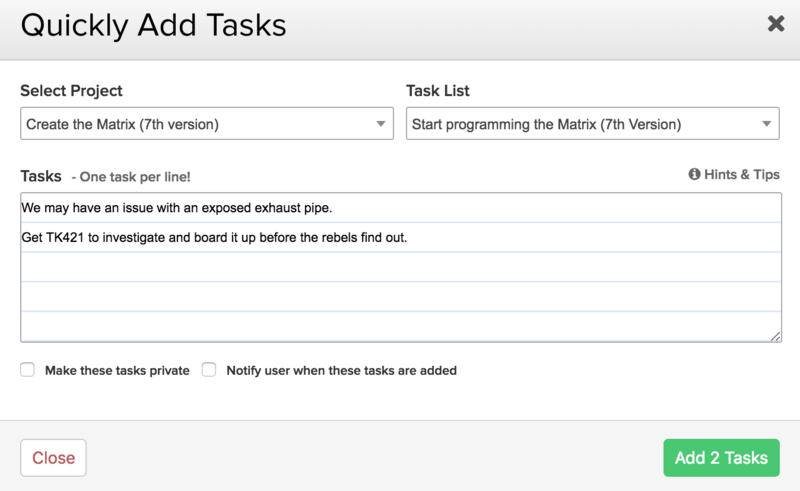 Note: The name used in the short code needs to match exactly to an existing task list on the project. If a match isn't found, the task will be added to the preselected task list in the dropdown. 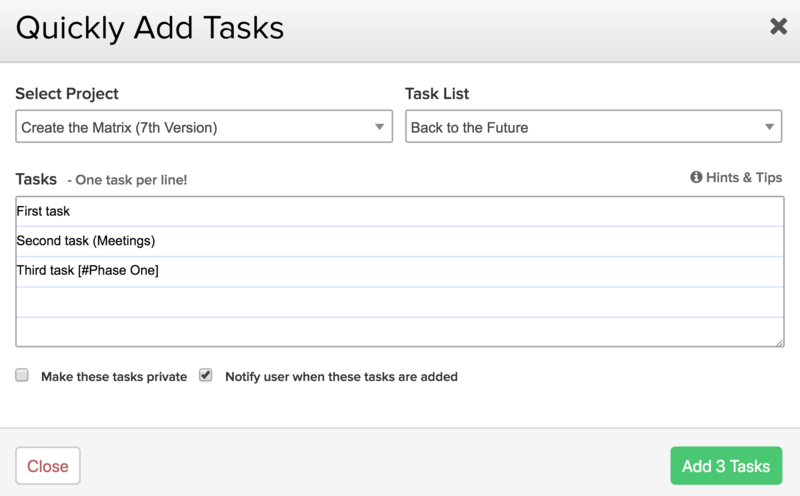 When adding tasks using the quick add modal, you can add subtasks to the parent tasks you are creating. You can also create tasks from text you have highlighted within a project, such as a comment, or part of a notebook. Once the text is selected, you can create a task using keyboard shortcuts, by pressing q and t on your keyboard. You can also click the quick add + in the top right of your site, and select Task. 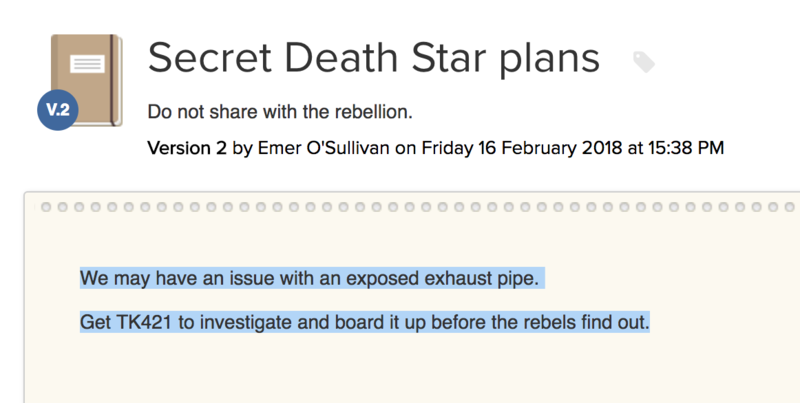 It will then use the text as the names for new tasks. Note: If you highlight text over multiple separate lines in a notebook, it will take each line as an individual task.